Content may be the king of marketing, but the importance of visuals can’t be denied either. Text without visuals is just like a car without fuel. If you want to grab the viewer’s attention, you will need to pair up your words harmoniously with the visuals. In like manner, you might be having a fantastic website with fabulous content strategy, and everything is placed ideally on the perfect spot, but if your visuals are not correctly optimized then most likely all your efforts are going to be in vain. We have heard enough about content optimization, as it has become a globally famous practice these days, but how do we get our graphics optimized? How does it going to be beneficial for your website and search engine ranking? In this article, we will be shedding light on all the answers that we have mentioned above and will guide all our curious web designers to the unwritten rules that they must consider while working with graphics. Before digging deep into the topic, let us get to the explanation of the primary question that arises before we move further. Does speed really matter? So, the answer is yes it does. Search engines hate the websites which take more than 5 seconds of load time. Needless to say, search engine crawlers prefer speed when it comes to ranking, and this aspect of the website had taken a most significant leap a few days back when Google announced its upcoming preferences regarding website ranking. 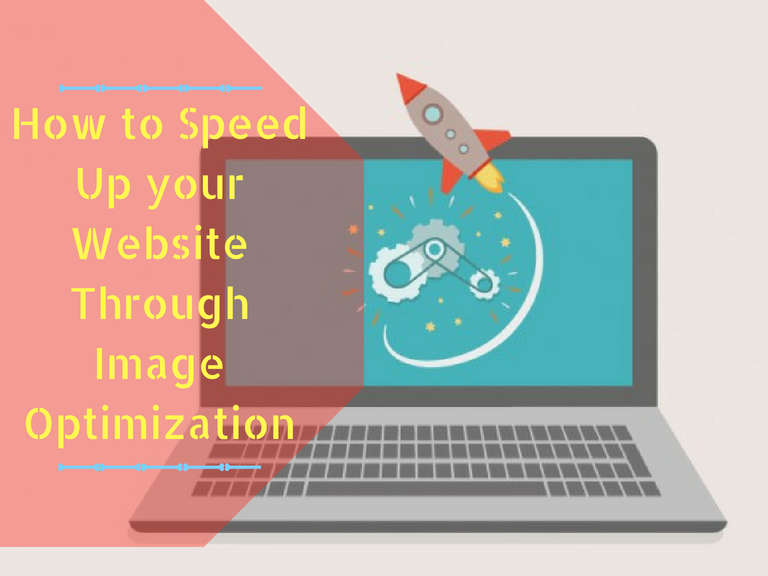 Recently, an online study got conducted on the web page speeds, and it has been revealed that every second, website load time is being reduced due to which you get approx. 2% increase in conversion. It may appear as a minor increase in profits for now but, will be turning out as a huge turnover after the annual evaluation, hence proved that the entire process is worth considering. There is no rocket science behind getting your web speed checked. You just need to search for the tools on which you can check your loading time/speed. Two of the most popular ones are by the Google itself. One is PageSpeedInsights which is an excellent tool for a quick online speed check, whereas, webpagetest.org is the second most preferred tool that you can totally count on when the first one is not working properly, just in case. There are a number of factors that can directly or indirectly slow down your website loading time and overall speed. Unfortunately, your visuals and graphics could be one of the most important reasons behind the slow speed and low conversion rate. So how can we manage and optimize graphics in a way that they do not become an obstacle for your website conversion? Below we have round off 4 crucial tools and techniques using which you can optimize your entire website for the maximum conversion. Choosing appropriate file types is the most crucial as wells as the overlooked practice which plays a vital role in affecting your website conversion rate. Choose the file type wisely, do not opt for BTTPs and similar types as they are going to occupy a lot of space, instead go for the highly recommended file types such as jpg, PNG and GIF. You must resize your image rather than putting it up as it is, especially when you have picked it up from the stock sites. Stock sites usually offer images in high resolutions. You need to pay attention to that, avoid uploading these in large sizes as an alternative, go for a quick resize before you upload these on the website. Thanks to the free tools available online now you don’t need to depend on costly software just for the sake of a quick optimization. All you need to do is to drop your files (which you can do for a single file or batch file as well) on the tool, and it will do the job for you without you spending a penny on it. Tinypng and Imageoptim are among the tools that will compress your files within a few minutes without causing you any trouble whatsoever. If you want to maximize your website speed; CDN is actually what you should start using at once. So what it actually does to speed up your website? It works simply by caching up pages on multiple local servers. Consequently, people who visit the website from anywhere around the globe will be having a similar experience. Suppose if the local server is from the U.S then someone visiting from France will get the experience as if the website were hosted in their local country. Visuals are indeed a crucial part of digital content marketing. They are the make or break feature in your web design if you have optimized and executed them effectively, they are going to work wonders for your conversion. If not, then they could be a serious threat to your search engine ranking.